Awards season kicked off with one of our favorite annual events, Doris Bergman’s Style Lounge and Party at the beautiful Fig & Olive restaurant on Melrose Place which featured a lunch and luxury gift lounge honoring the Emmy nominees. The annual event, presented by A-list event planner Doris Bergman, honored the 68th Annual Primetime Emmy Awards and raised funds for charity, Wendesday’s Child. Celebrities turned out for this who’s who invite-only party which featured Emmy nominees, presenters, celebrity stylists, and industry VIPs. This year’s event was hosted by Ein Drink and presented by Dioo Audio and featured the latest in electronics, and incredible array of fashion for men and women, the finest in beauty, skin & hair care, stunning jewelry and more! stine Devine. Wednesday’s Child’ highlights ‘harder to place’ children in the L.A. County foster care system who are in need of adoptive families. Bergman always invites two foster children to join in on the festivities and experience what it feels like to be treated as a VIP for the day! 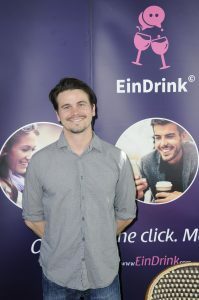 We caught up with Jason Ritter, former Primetime Emmy Nominee and current series’ regular on “Another Period” who chatted with us about his Comedy Central hit, and told us that Bergman’s is one of his favorite events of awards season because it gives back. We also spotted Emmy Nominee Patrika Darbo checking out the VIP Sponsor The FootMate System who makes scrubs and rejuvenating cream, perfect for your feet after a long day on the Emmys red carpet! Jane Lynch was enjoying the beauty of one of our favorite designers,Sue Wong, who’s couture gowns are a staple at LA Fashion week at awards events all season. Kimberly Elise from VH1’s “Hit the Floor” stopped for a photo while picking up some new lingerie from Personal Touch, perfect for cocktail dresses Emmys weekend! Other celebs we spotted while at the lounge included Edyta Sliwinska ,Dot Marie Jones, Tony Denison Tasha Smith, Stephen Kramer Glickman, and Kelsey Scott, to name a few!